Nestled amongst lush coconut plantations on a golden sandy bay, Anantara Tangalle Peace Haven Resort offers a tranquil paradise for your trip of a lifetime. Romantic beach walks, lazy days by the pool and unique gastronomic adventures await you at this exotic getaway. If you’re looking to unwind, treat yourself to a sensual day at the Anantara Spa. Ayurvedic and reflexology treatments, along with the stretch of sunrise yoga will assure a complete makeover for body and mind. 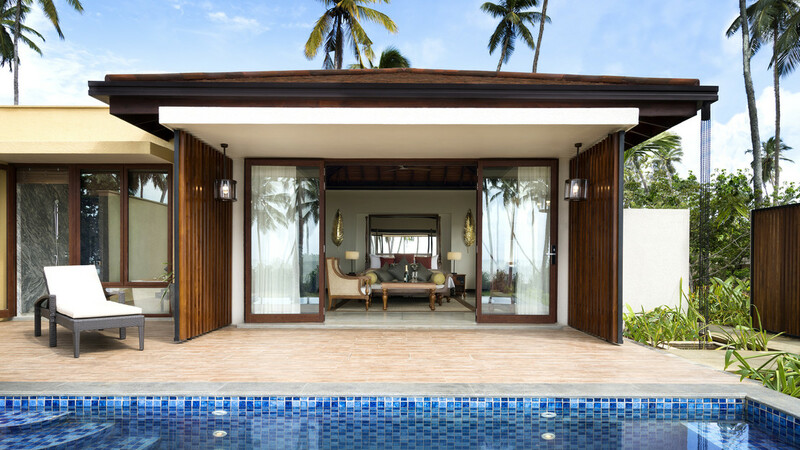 You and your loved ones can enjoy an exclusive hideaway with one of Anantara Tangalle Peace Haven Resort’s luxury villas. Or choose the romantic views of a Deluxe Room. There’s a children’s and teens' club available, allowing parents to balance quality family time with some luxurious moments for themselves. 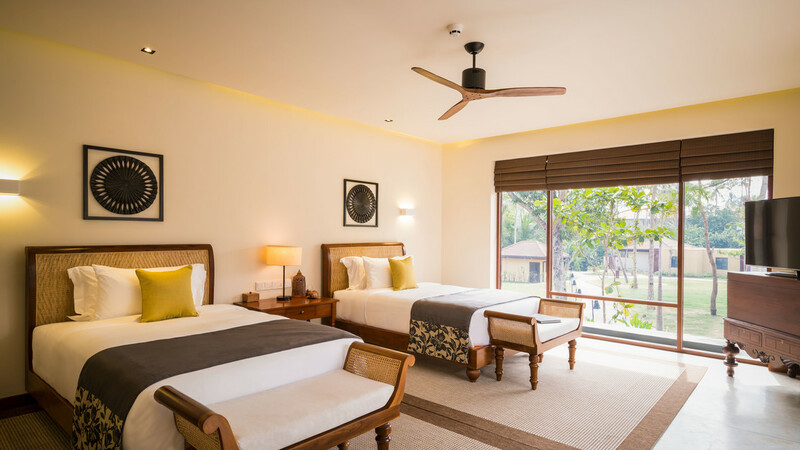 The location not only offers peace and serenity during your stay, it also has easy access to several of the top attractions across this area of Sri Lanka. This beautifully secluded spot mixed with the charm of Sri Lankan hospitality, will create enchanting lifelong memories for all who visit. 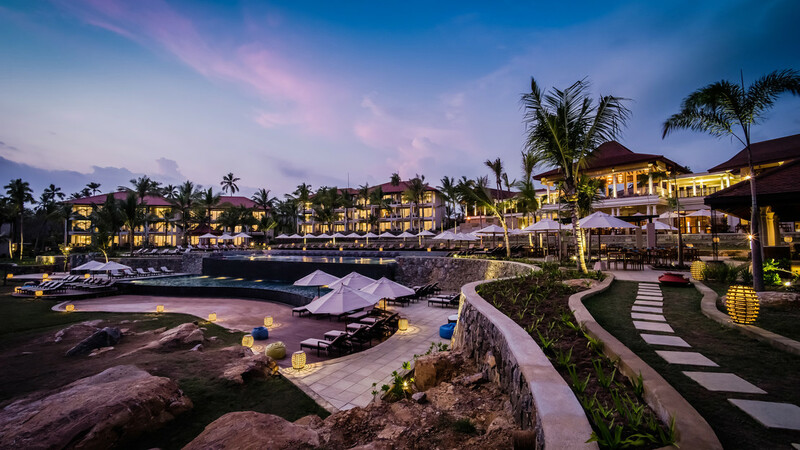 Anantara Tangalle Peace Haven Resort and Spa is situated on the edge of a beautiful golden sandy cove. The hotel is a resort within itself with several restaurants and spa. If you do fancy venturing out, there are several other bars and restaurants within walking distance approximately 850m away in Tangalle. A great way to explore the local area is by bicycle or tuk tuk. You can take numerous trips and tours of key attractions from Anantara Tangalle Peace Haven Resort and Spa. It’s a 30-minute drive to Mulkirigala Rock Temple. Uda Walawe National Park, Mirissa for whale watching, and historic Galle are all approximately 1.5 hours’ drive away. Colombo’s Bandaranaike International Airport is approximately 216km away from Anantara Tangalle Peace Haven Resort and Spa. The scenic drive takes about 3.5 hours. It’s also possible to take a 45 minute flights to Dickwella, which is 10 minutes-drive from the resort. There’s one transfer flight per day or it’s possible to charter a private flight. Retreat to your own private haven with family or friends in these idyllic two bedroom villas. Elegantly designed with a touch of ancient Sri Lankan style, this accommodation offers luxurious comfort. Featuring a master bedroom with king-size bed, and a second bedroom with two twin size beds. 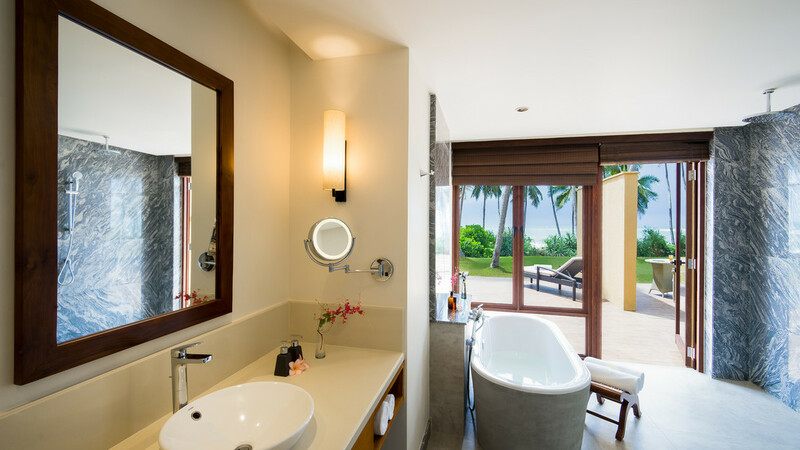 Both bedrooms include an en-suite bathroom with rain shower and a separate oval bath tub. Spend quality mealtimes together in your own space, either inside or in the stunning outdoor dining setting by the pool. 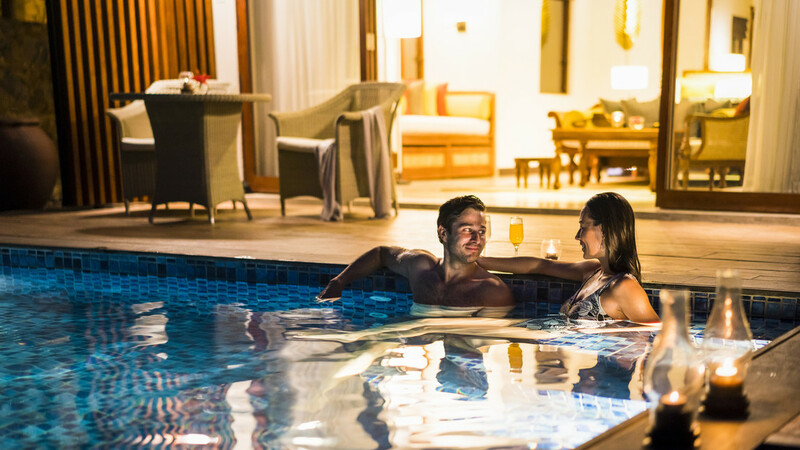 For an exceptionally romantic experience, these Beach Pool Villas are blissfully situated along the soft sands of the shoreline. Start every day by taking a dip in your private pool while enjoying stunning sea views across the Indian Ocean. The villa features a contemporary master bedroom, with a king size bed. 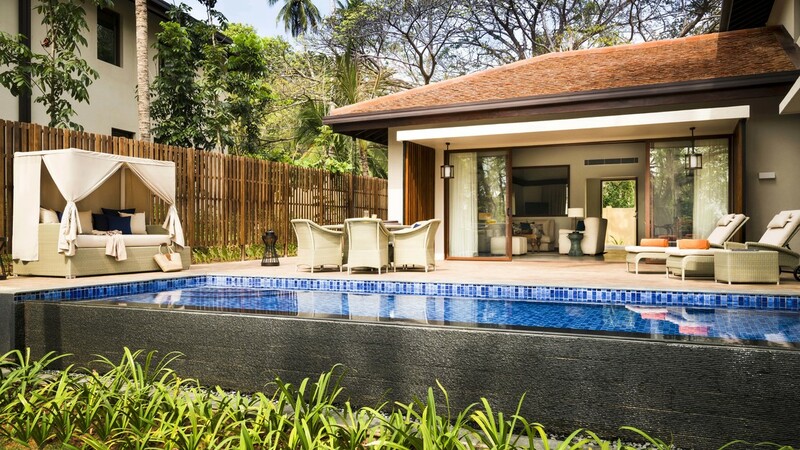 A highlight of any stay in one of these luxurious villas will be dining al fresco by the pool with the backdrop of a magical Sri Lankan sunset. Wake every day to sensational ocean views from the comfort of your own living area. 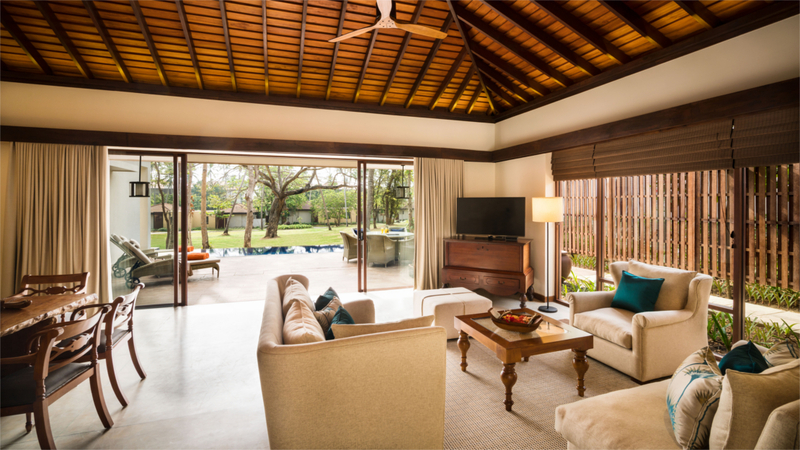 These romantic villas feature elegant interiors that create a comfortable sanctuary for you and your loved one. There’s a beautifully indulgent bathroom with a rain shower and separate oval bath tub and the master bedroom has a heavenly king size bed. 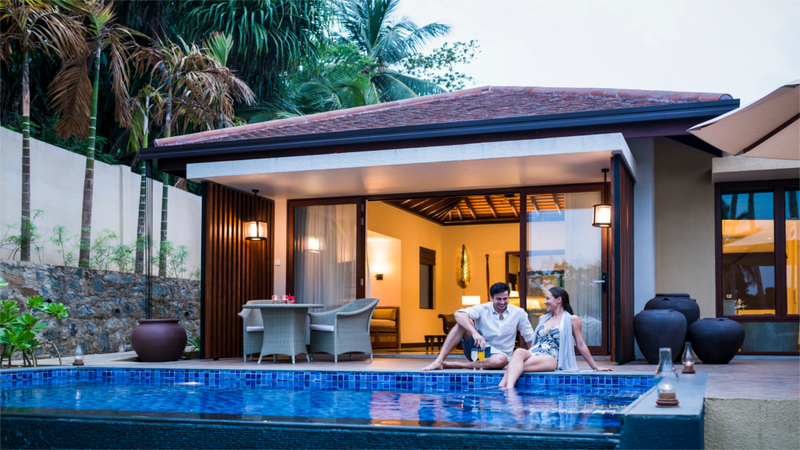 Enjoy a glass of chilled white wine by the pool while soaking in the glorious Sri Lankan climate. 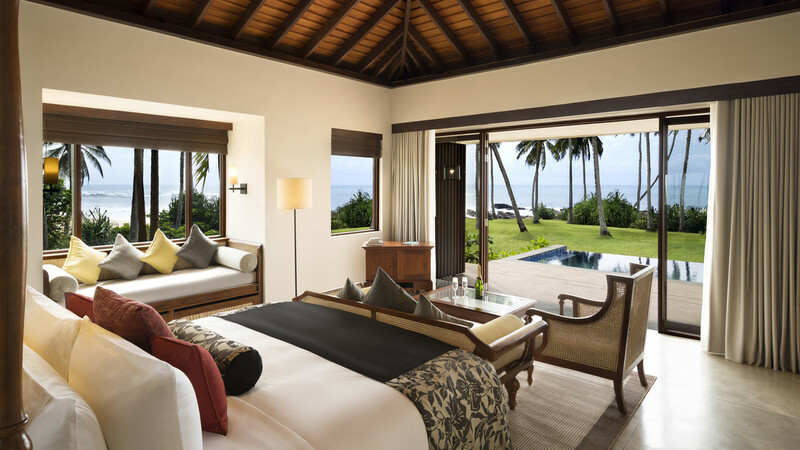 Set amongst the stunning tropical gardens of Anantara Tangalle Peace Haven Resort, these villas offer the ultimate in luxury accommodation. An exquisite minimalist design creates a relaxing environment for you to unwind during your stay. Make the most of the refreshing plunge pool with an early morning dip, before sipping a coffee in the stunning exotic surrounds. There’s a master bedroom, living area and a delightful en-suite bathroom with rain shower and separate oval tub. 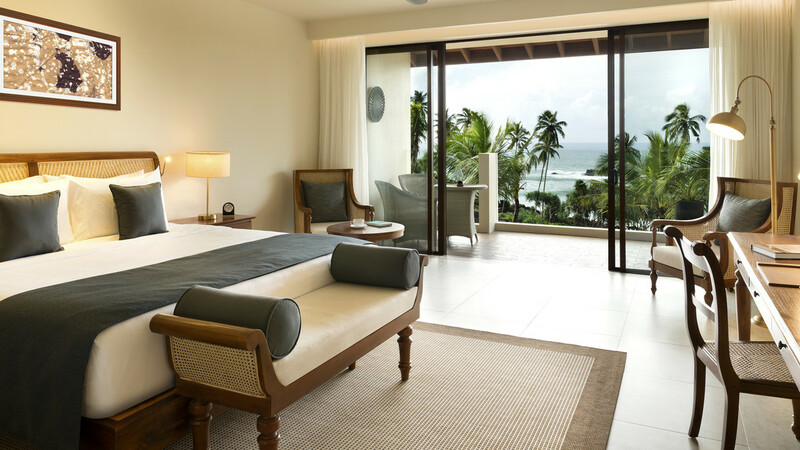 For a romantic retreat in exotic paradise, choose a Deluxe Ocean View Room. Step onto your private balcony and soak in the breath-taking views across the sparkling Indian Ocean. These spacious rooms feature a magnificent king size bed, and luxurious bathroom with a rain shower and separate oval bathtub. 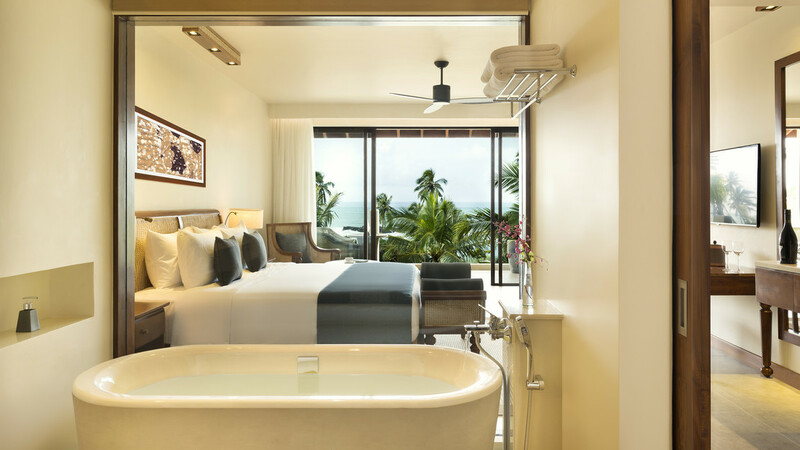 Overlooking the glistening Indian Ocean, these rooms feature striking views of the best of this location’s natural beauty. With either a king size bed, or twin beds, they’re a perfect choice for a couple or friends sharing. The private balcony offers a wonderful space to enjoy a glass of wine from the humidor as you watch the sun go down. 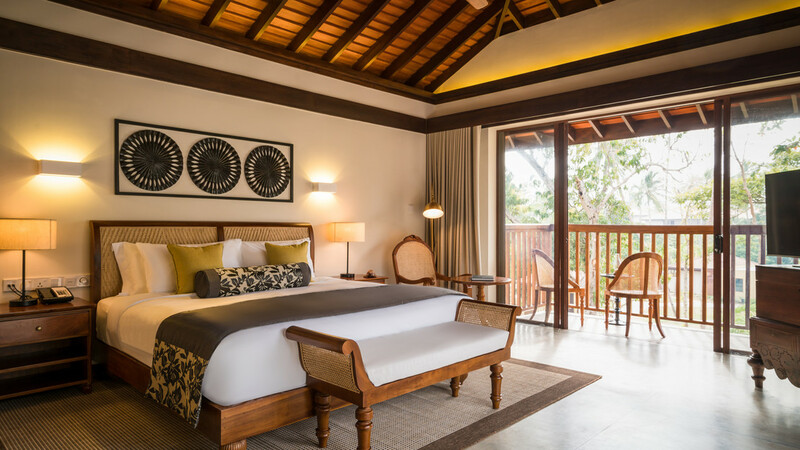 Featuring exquisite details, these rooms are designed for total comfort during your stay at Anantara Tangalle Peace Haven Resort. 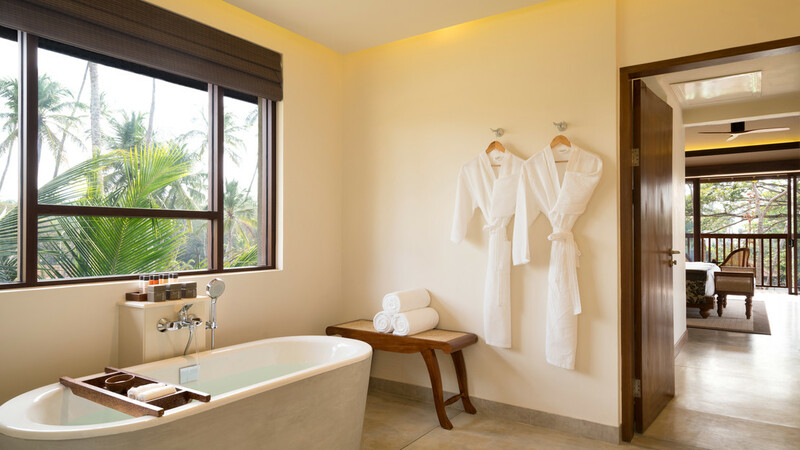 Choose from a king size bed or two twin beds, and indulge in the luxurious bathroom with rain shower and an oval bathtub. There’s a spacious balcony, overlooking the lush tropical gardens that offers a wonderful outdoor private place to enjoy your morning coffee. Experience a culinary adventure around the world at Journeys restaurant. Situated by the resort’s swimming pool and overlooking the ocean, it’s a lovely setting to enjoy your breakfast, lunch and dinner. Journeys’ chefs serve up a fantastic selection of Sri Lankan, Asian and International dishes in sumptuous buffet style. Set on a stunning cliff-side location with spectacular views across the Indian Ocean, Il Mare offers a unique dining experience. The chefs use freshly caught seafood from the local fishermen to create the exquisite Italian menu. Hand-made pasta dishes are complimented by an excellent menu of fine wines. Finish off with an indulgent Italian dessert, gourmet cheese and a freshly prepared coffee. Il Mare is open for dinner only. For an exciting dining experience, try this teppanyaki inspired restaurant that has a Sri Lankan twist. Chefs showcase their skills in culinary acrobatics, while preparing your delicious meal. Succulent meats and fresh fish dishes are available for breakfast, lunch and dinner. Spend your evening meal sipping on a fabulous selection of fine wines, perfectly paired with a delectable tasting menu at El Vino. The tapas style creations, in a Mediterranean style will be a culinary experience you’ll never forget. The Lobby Lounge is the place to go to experience a traditional high tea in authentic Sri Lankan style. A divine spread of handmade pastries, freshly baked scones and local fruit jams are served up alongside your choice of tea. For a really special dining experience, Anantara Tangalle Peace Haven Resort offers a personal touch with their tailor-made packages. Intimate romantic meals on the beach are prepared especially for you, with a fabulous selection of gourmet menus.